Here is a first list for those who want reading sources. The "Life of Mindful Action" workshop which ran over the weekend, was, for us, a real example of constructive action. Not only was the material based on Constructive Living content, the whole process was such a good experience of staying grounded in what "purpose" might be. It contains the haunting reminder that we each have a unique purpose, our "garden" entrusted to us and urges us to ask " what have I done with the garden entrusted to me?" 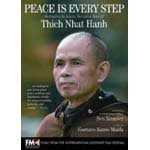 We now have the wonderful Thich Nhat Hahn DVD, Peace is Every Step. This a quasi-bio of Thay. There is also a complete 90 minute talk on the disc. 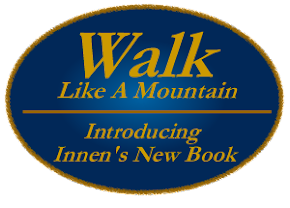 It is a companion to the two books we have also acquired on walking practice by THN. 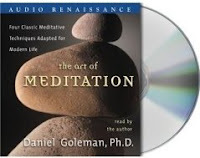 I have just acquired an audio CD by mindfulness teacher, Daniel Goleman, called The Art of Meditation. Its full of lessons and talks. Give Ray a call if you'd like to preview it. I'd love to have your comments on these. Here is a wonderful website with many free MP3's for our use.